In October 2010 I wrote a review of Simaudio’s Moon Evolution 600i integrated amplifier ($8000 USD). 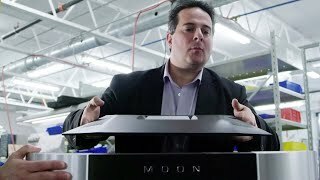 It remained the most expensive component I’d heard in my audio system until two months ago, when its big brother, the Moon Evolution 700i ($13,000), showed up at my door. 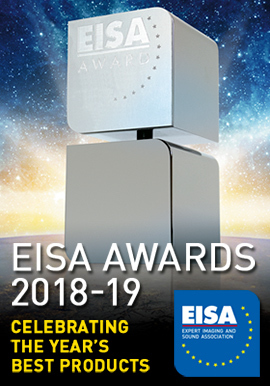 The flagship integrated amplifier in the Moon Evolution series, the 700i represents the culmination of Simaudio’s efforts to produce an all-out, cost-no-object, state-of-the-art product. Given the price, it’s reasonable for the prospective buyer to expect from it nothing less than uncompromised, world-class performance. Measuring 18.75"W x 5.5"H x 18.1"D and shipping at 60 pounds, the 700i is a behemoth. The rigidity of its thick case of extruded aluminum gives it a feel so substantial that the 700i appears built to last an eternity. The cheeks of the front panel are finished in silver, while the faceplate itself is available in silver or black. A highly polished aluminum cone screws into each of the triangular pillars, and each cone rests atop a small metal disc. These discs are the only protection between the cones and your valuable furniture -- you may want to find a second set of hands to maneuver the 700i into position. The 700i’s appearance isn’t obtrusive, but it’s a bit too big to simply disappear. This is especially true of its large red alphanumeric display, which can be seen from just about anywhere in the room and is a Moon trademark. I like the display for pragmatic reasons, but some visitors said that it looked a bit garish. Fortunately, you can dim its brightness or turn it off altogether. The Moon Evolution 700i is a solid-state, dual-mono, fully differential design. This means that it uses four completely separate signal pathways: each channel comprises two audio signal paths, one each for the positive and negative phases of the balanced signal. This sort of design costs considerably more to implement: all parts must be duplicated, and those duplicates well matched to ensure consistent performance. 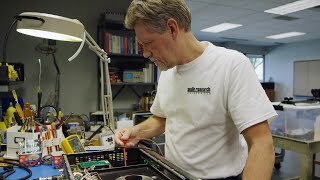 Each channel employs a custom-wound, 500VA power transformer and six proprietary bipolar transistors, to produce the 700i’s claimed power outputs of 175Wpc into 8 ohms or 350Wpc into 4 ohms. As with other Simaudio integrateds, the 700i’s first 5W are delivered in class-A, the remaining output in class-A/B. The transformer cores are made in Japan of very high-quality steel, which contributes to their impressive regulation factor and ensures a fairly constant voltage as the current draw increases. 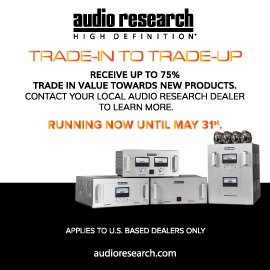 According to Simaudio, the 700i’s regulation factor is just 3% (the theoretically perfect value is 0%), while many of their competitors’ amplifier circuits are closer to 10%. The bipolar transistors are said to offer exceptional gain linearity, which helps to lower the noise floor, improve the bass response, and extend the bandwidth. The 700i also features Simaudio’s Lynx circuitry, which essentially means that it has zero feedback. Lynx eliminates the need for additional circuitry to produce the feedback in the first place, which then must be corrected. Zero-feedback circuits provide real-time amplification and lower intermodulation distortion. The M-eVOL2 volume control used in the 700i is the same as is used in the Moon Evolution 600i. Because the 700i is a dual-mono design, the M-eVOL2 uses one multiplying digital-to-analog converter (MDAC) per channel to vary the amplitude of the musical signal as a function of the volume setting. Made by Texas Instruments, this volume circuit lets the user make precise adjustments of volume level: from 0 to 30dB in increments of 1dB, and from 30 to 80dB in increments of 0.1dB, for a total of 530 individual steps. Simaudio claims that the M-eVOL2 circuit offers lower noise and better signal matching between channels, while closely matching the performance of the M-Ray volume circuit used in their Moon Evolution 850P. 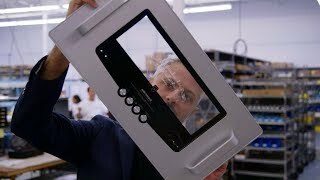 It would have been nice to see Simaudio fit the 700i with the same volume control as their flagship preamp, but given the superb performance of the M-eVOL2 that I experienced while reviewing the 600i, I would have zero complaints about using it again, and really wonder how much the M-Ray improves on it. As far as system integration and control are concerned, the 700i is about as good as it gets. If you use it with other Simaudio components, you can take advantage of Simaudio’s proprietary SimLink software, which allows multiple Moon components to communicate with each other. For example, if you switch the 700i to Standby mode, all other components in the SimLink chain will also stand by. Similarly, pressing Play on the remote control of the Moon Evolution 650D DAC-transport automatically switches the 700i to the input assigned to the 650D. This level of connectivity is intuitive, and extremely functional for an all-Simaudio system. The 700i has four pairs of line-level inputs and one pair of balanced (XLR) inputs, all of them fully programmable. A tape loop is included. All inputs offer gain offset that allows the user to adjust the gain setting through a range of +/-10dB -- a nice feature if you want to match the volumes of all of the source components in your system. Simaudio’s M-Lock lets you set a separate maximum volume limit for each input. And you can use the Bypass function to skip the M-eVOL2 volume circuit altogether, and adjust the volume using either a home-theater processor or a source component that has its own volume control. My favorite function was the ability to assign a name to each input, which let me eliminate the guesswork that accompanies locating a specific source each time I get a new component in for review. Best of all, the software is very easy to use and took me less than five minutes to master. I used the 700i with Simaudio’s Moon Evolution 650D DAC-transport. Stacked on the floor at the front of my room -- they were too wide to fit in my equipment rack -- the pair looked striking. 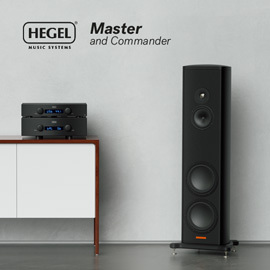 At first sight, it’s obvious to even those unfamiliar with high-end audio that these models are expensive, and feeling the casework and the quality of the craftsmanship only confirms this. Ideally, I’d want the Moon Evolution duo set up in a room with modern furnishings and design that would complement their aggressive, almost futuristic styling. The 700i was accompanied by the entirely aluminum FRM-2 remote control, which I’ve used with several other Moon components I’ve reviewed. I don’t really like the FRM-2, which is too long to fit comfortably in my hand. I was pleased to see that, from now on, buyers of the 700i will receive the new FRM-3 remote, which, among other things, has a different button layout, is finished in black, and is backlit. In the photo I saw on Simaudio’s website, the FRM-3 still looks long; I don’t know if the feel is different. The Moon Evolution 700i formed the foundation of a system that included the 650D DAC-transport as well as Amphion Argon3L loudspeakers. Nordost Quattro balanced interconnects linked the 700i and 650D, and AudioQuest Type 4 speaker cables terminated in banana plugs connected the 700i to the Amphions. Music was wirelessly streamed from an Apple iMac computer through an Apple Airport Extreme to an Apple Airport Express (how’s that for branding?). An XtremeMac XtremeHD TosLink cable linked the Express with the 650D’s optical input. All electronics were plugged into an ExactPower EP15A power-line conditioner-regenerator. It would be impossible not to have expectations of a component that retails for $13,000 -- one of which would be uncompromised performance. After spending considerable time listening to a wide assortment of music through the 700i, I found that it fulfilled that expectation, producing sound that, in my experience, was as good as it gets. I haven’t spent much time using separates, but I’ve heard my share of integrated amplifiers, and the 700i has raised the bar above them all. Although in several areas the 700i’s sound stood above that of its competition, it was truly exceptional in its clarity. The 700i sounded unbelievably clean, effortlessly unraveling detail to let me follow even complex musical passages with ease. But uncovering detail does not, in and of itself, indicate great sound. I’ve heard superdetailed integrated amplifiers that tended to spotlight certain aspects of the music in a way that was too analytical for my taste. The 700i wasn’t analytical; it was highly revealing, but it managed to communicate music as a coherent whole, to create a very engaging sound that demanded my attention. That clarity was a result of the 700i’s vanishingly low noise floor -- I’ve never heard an integrated amplifier as quiet as this one. Well-recorded music appeared against an ink-black background that helped create a more intimate listening experience. Such was the case when I listened to Jeff Buckley’s magnificent Live at Sin-é (two CDs, Columbia C2K 89202): the ambiance of the café was more convincingly portrayed than I’d ever heard. The myriad voices, clink of glasses, and clatter of utensils were conveyed as lucidly as was Buckley’s magnificent voice in the opening a cappella track. The sound of Buckley’s breathing and the reverberation of his voice were reproduced with eerie realism, creating a closer, more personal listening experience. Jerry Garcia and David Grisman’s 1996 acoustic release, Shady Grove (CD, Acoustic Disc ACD-21), is an album of traditional bluegrass songs that was my introduction to the genre while I was an undergraduate at university, and it’s been a staple of my collection ever since. In addition to their timeless appeal, these tunes are nicely recorded, with a natural, organic character to the sound of the various stringed instruments. Through the 700i, the purity and character of the instruments’ distinct tones was captured with remarkable clarity and realism. In "Louis Collins," the pluckings of strings sounded sharp and incisive as the instruments were rendered across a soundstage that was wide, deep, and extended past the outer edges of the speakers while producing pinpoint images between them. As with Live at Sin-é, I’d never heard this album sound so good. Given the 700i’s exemplarily quiet nature, I wasn’t too surprised when I put in the CD tray Radiohead’s The King of Limbs (CD, TBD TICK001CD) and heard how well the Simaudio was able to resolve this album’s spacious, three-dimensional soundscapes. As noted earlier, the 700i’s sound was very coherent; it was also wonderfully open, which helped produce an expansive stage at the front of my room. With "Lotus Flower," I was treated to a veritable wall of sound that would have made Phil Spector envious. As Radiohead’s music bloomed outward, it filled the room to produce a dense, immersively 3D sound. Of course, I was able to experience this sort of spaciousness only when it had been captured on the original recordings, something that’s not true of a lot of the music I enjoy. The CD of Bob Dylan’s 1965 gem Bringing It All Back Home (Columbia CK 92401) has a lean, thin, somewhat flat sound (the vinyl edition improves on this considerably), and that’s how it sounded through the 700i. In short, the Simaudio Moon Evolution 700i had no sonic character of its own. When I played a recording of lower quality, it conveyed that lower quality rather than imprinting the music with its own sonic signature. The 700i was the proverbial chameleon, taking on the character of whatever music I played through it. If you want to hear your music without electronic editorializing, the 700i does that. 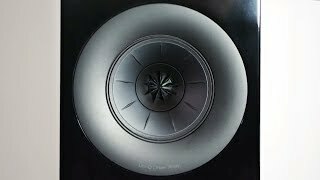 Another hallmark of the 700i’s sound was a sense of effortless power. 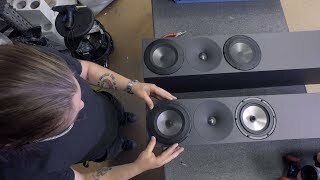 I think it could be used to drive with ease almost any pair of speakers on the market, and in all but the largest listening rooms at all but the most obscene volumes. It sounded as muscular as its imposing size suggests. The best amplification I’ve heard has given me the sense that it never has to try very hard to do its job, and the 700i was of that camp. Its reserves of power seemed limitless, and it was able to maintain this sense of ease and control at all volume levels. It didn’t seem to break a sweat with bass-heavy hip-hop or electronica, music that can cause less powerful amplification to struggle. For the past year or so I’ve listened a great deal to Shabazz Palaces’ Black Up (CD, Sub Pop 98787 09002), which makes some other contemporary hip-hop sound pretty generic by comparison. Black Up features deep, fat-sounding bass that can get a little sluggish at high volumes if the speakers and amplifier can’t handle it. With the Simaudio-Amphion combo, there was never a problem. "Youlogy" was one such example: the 700i maintained firm control over the Argon3Ls’ midrange-woofers, coaxing from them deep, textured bass notes that were communicated with tremendous authority and impact. There seemed to be no limit to the Moon Evolution 700i’s power -- it responded effortlessly to dynamic shifts in more demanding music. The fierce rhythms of War Dance, from Respighi’s Belkis, Queen of Sheba: Suite, with Eiji Oue conducting the Minnesota Orchestra (CD, Reference RR-95 CD), were delivered with tautness and speed, sounding explosive and powerful against a backdrop so quiet that it seemed to only further enhance the dynamic prowess of the 700i. The musicians were spread across a wide stage in which each section of the orchestra was clearly delineated, making it easy to envision them with my eyes closed. The 700i’s dynamic capability, like its other strengths, was beyond reproach. 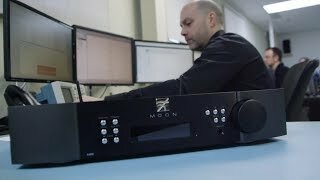 I would like to have compared the Moon Evolution 700i with its smaller sibling, the Moon Evolution 600i integrated amplifier, but that was returned to Simaudio a couple of years ago. Instead, I had on hand my (relatively) long-term reference integrated amplifier, the Bryston B100 SST, which retailed for $2995 when I reviewed it in 2006. Though recently replaced by the B135 SST2 ($4695), until then the B100 SST was Bryston’s most powerful integrated amplifier. 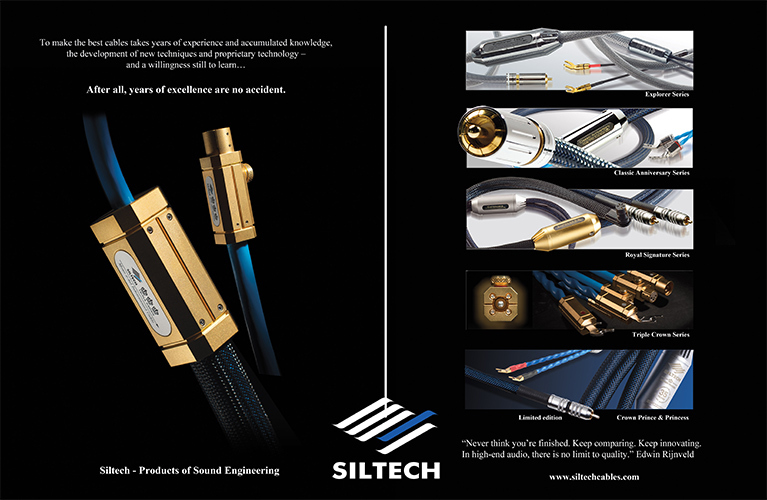 The 700i and B100 SST accept a similar number of line-level inputs (the Simaudio also has one balanced input). Each is a fully dual-mono design, though only the 700i offers balanced operation. At 100Wpc into 8 ohms or 180Wpc into 4 ohms, the Bryston can’t match the Sim’s muscle. Both models are solidly constructed, the 700i more so. The sonic performance of these two integrateds wasn’t as far apart as their prices. Still, there were some meaningful differences, the most important of which, for me, was in their levels of clarity. When I first heard the B100, in 2006, I was astonished by how transparent it sounded. But as good as the B100 still sounds six years later, the 700i bested it in this regard, with a noise floor so low that I have to assume it approaches the limit of possibility. As I listened to Josquin Des Préz’s Missa "Pange Lingua," as performed by the Tallis Scholars (CD, Gimell CDGIM 206), the music sounded more distant through the 700i than through the B100. This resulted in a greater sense of depth, and thus of a larger recording venue. Through the B100, the voices of the singers were a touch more forward, and while I thought the 700i did a better job of clearly resolving the air around the singers, both integrateds did a fine job of credibly re-creating a three-dimensional soundstage. 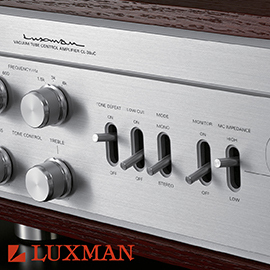 While the B100 is a powerhouse in its own right, the 700i made possible an even greater sense of ease and control. The bass line that underpins "m.A.A.d. 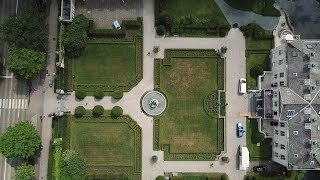 city," from Kendrick Lamar’s good kid, m.A.A.d. city (CD, Aftermath/Interscope B001753602), sounded fatter and rounder through the B100, in comparison to the 700i’s tighter, more focused sound. Each amp was able to coax deep bass from the Argon3Ls, but the 700i sounded a touch more powerful, with ironclad control. 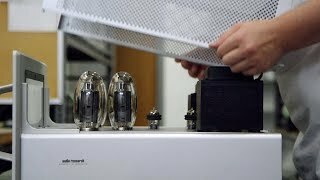 Bryston’s B100 SST is an excellent integrated amplifier, but in no area of performance was it able to surpass Simaudio’s 700i. The B100 is for those who want close to the best, without having to pay the high price that typically accompanies that level of quality. The Moon Evolution 700i, on the other hand, is the best -- or at least competes at that level. It offers ultra-high performance, no caveats needed. 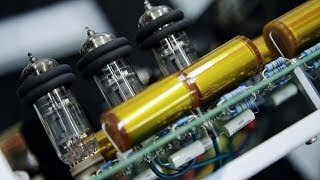 I tried but could find nothing wrong with Simaudio’s Moon Evolution 700i integrated amplifier. 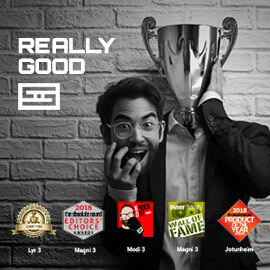 Someone even more picky than I might find this or that nit that doesn’t suit, but I think such differences will never be more than matters of taste, rather than actual shortcomings of performance. 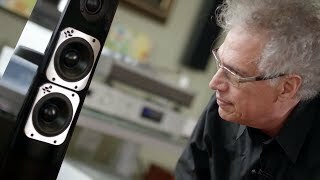 What most interests me is how the 700i compares with Simaudio’s Moon Evolution separates. I’m willing to bet that even Simaudio will tell you that the 700i provides much of the performance of their flagship separates, but at a considerably lower price, and in a more conveniently compact package. The integrated amplifier used to be viewed -- and sometimes still is -- as a compromise suitable only for those who either can’t afford or don’t want to own separates. But the Moon Evolution 700i dispels the myth that an integrated amplifier automatically means concessions in sound quality. The 700i sits at the top of the price/performance curve, asymptotically approaching the point where spending significantly more will yield a sound that is merely different, not better. This level of uncompromised performance is beyond the reach of most of us at $13,000, but those who are in a position to seriously consider the 700i as the potential backbone of a state-of-the-art system would be foolish not to give it an audition. The 700i is a tour de force of audio engineering, exquisitely exclusive in its appeal. 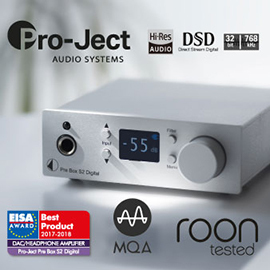 You can certainly spend less on an integrated amplifier and still get outstanding sound, but few products will leave a listener so completely satisfied with both sound and operation. The Simaudio Moon Evolution 700i is a statement product in every sense of the term.